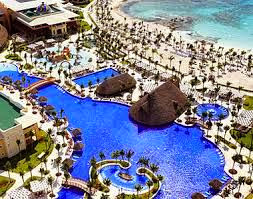 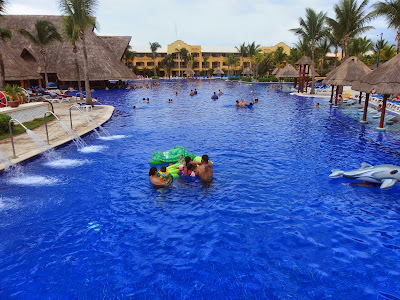 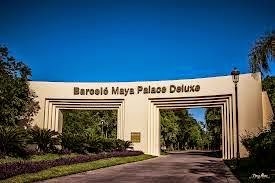 On Monday we flew to Cancun (3.5 hrs from NYC) and stayed at the Barcelo Maya Palace mega-resort about 50 miles down the Mayan Riviera coast, which forms the western rim of the Caribbean Sea. 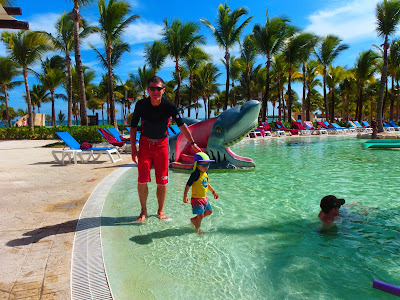 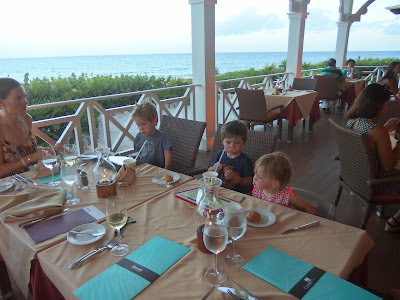 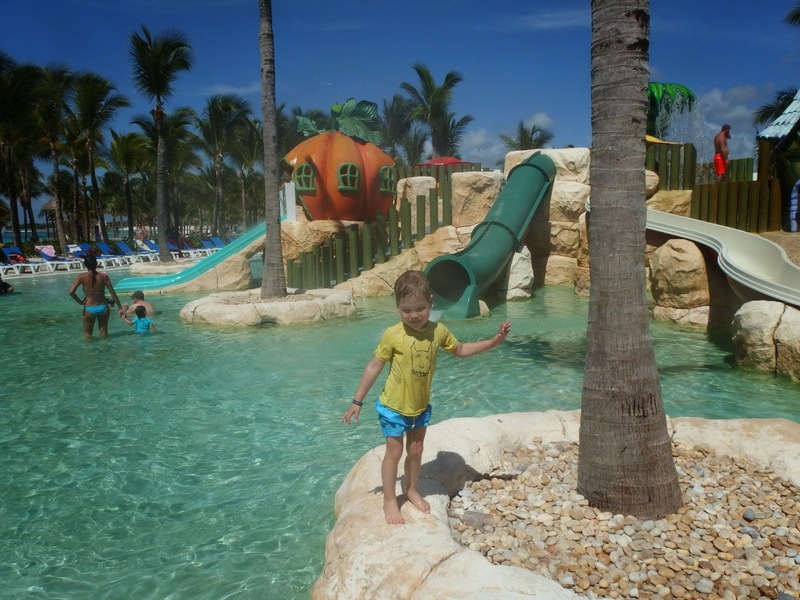 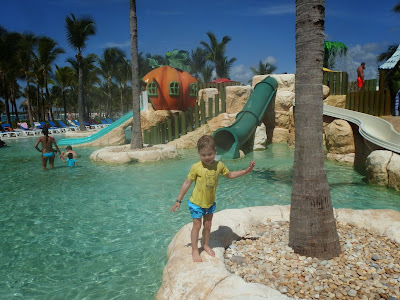 It was incredible value, the all-inclusive package (return airfares from JFK, hotel transfers, 5 nights accommodation, food and beverages) being only $US 3500-4000 per family. We had excellent weather, hot & sunny every day, and spent 3 of the 4 days in the pool and Xavi, Max and Frankie all improved their swimming. 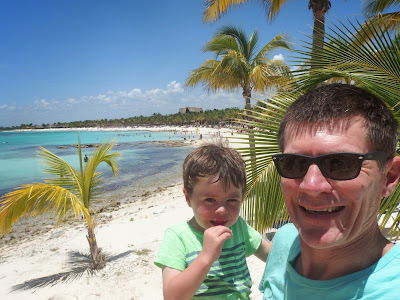 The 4th day we made a side trip to the town of Tulum, another 25 miles down the coast: see "Hola de Mexico Part 2".